Thimphu Thromde after numerous discussions with relevant stakeholders has decided to move all the entertainment centers (registered under Thimphu Throm) into the Thromde core area. The process of reallocation of the entertainment centers has already begun and by the end of 2019, everything will be shifted in one location. As per the record with Thimphu Thromde, there are 13 Drayangs, 38 Karaokes, 7 discotheques, and 9 live music centers. For now, trade and Thromde have stopped issuing entertainment licenses. 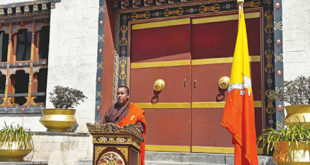 Kinlay Dorjee, Thimphu Thrompon said that they have defined Norzin Lam, Phenday Lam, and Chang Lam as urban core. 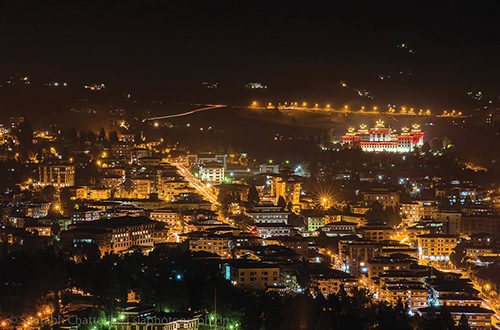 In the past, there was no urban core as such in Thimphu. He said they cannot consider all the area as urban core and have entertainment centers everywhere. “Going by today’s trend, maximum entertainment centers are located in the core city, therefore, three areas will be identified as urban core and all the entertainment centers will be operated in that area. Apart from that, the other places will be for the residential areas, so that no nuisance is caused”, he added. There are discotheques and karaokes in Olakha and they have been receiving numerous complaints from residences residing around that area. The Thromde was criticized openly in social media for poor monitoring. Considering such issues, the decision was taken based on the BICMA rules. “We cannot allow operation of entertainment centers in Olakha. When the owners of entertainment centers approached us for license renewal, we told them that we will renew their license only if they will be operating in the urban core”, he added. Some owners have raised issues saying it would be difficult for them to get an empty space in the urban core and that they have already spent so much in upgrading their existing entertainment centers in Olakha. Nevertheless, this is the decision of Thromde Tshogdue and that they cannot revoke it, the Thrompon said. He said that they make good money from the business, however, they will have to think about the rest of the society who are being affected by such kind of businesses. “They were asked to reconsider the problems in the society at large. We will give our best to help them in every possible way and we should be able to help them as there are only 2 entertainment centers in Olakha”. Building owners in the core area can now convert their basement into karaokes, drayangs and discotheque rather than converting them into stores, the Thrompon said. With the decision, they have also started notifying the residents of the urban core to move out as the area will be converted into an entertainments center by the end of the year. “This initiative benefit society. Maybe one or two will be unhappy with us but we have to definitely looked at the larger interest. It would be easy for the law enforcement agency to monitor in one area and crime rates can go down as well”, the Thrompon said. Meanwhile, RBP said that it would be very convenient for them if the entertainment center is shifted to one place. Currently, it is difficult to manage as all the entertainment hubs are located in different places and manpower has always been an issue. So, with this initiative, it would be easy for them to monitor. RBP said that they have been receiving numbers of complaints from the residents on public nuisance, however, it has been challenging because, by the time they reach the spot, people are gone already. Now, with this initiative, they expect less or zero compliants on public nuisance because once all the entertainment centers are shifted in one area, tenants would definitely move out knowing the consequences. “We can also change the pattern of deploying the men on duty”, RBP added. Durga Giri, the Officiating Director of Department of Regional Trade and Industry said that it will be easy to monitor as everything will be located within one place. He said that in the past if they monitor in the core city, another offense would be happening in other parts of the city since they cannot cover both the areas at one go. In addition, he also said that this can also address issues during a surprise inspection. “We conduct surprise inspections of entertainment centers. When we are conducting the inspection in Olakha, the news of inspection would be passed on to other places and this way, matters get out of hand”, he added. Inn addition to inspections they will also monitor the bars that are kept open after 10 PM. “We are not sleeping during weekends. We are strictly monitoring, but there could be few who must be running without our knowledge. Nevertheless, we do penalize if we get any information or if they are caught”, he said. Kelzang Phuntsho, the owner of Kalapingka Drayang said that reallocation of the entertainment center in one location might have a more negative impact. In addition, he also said that the competition is going to be tough and more complaints might arise at times. “When all different kinds of entertainment are mixed, there can be associated challenges. I feel that the number of gang fights might go up because different kinds of people are hanging around in the same location”, he added. He said that it would be better if they can allocate different places for different entertainment so that people can make their choices and go to the exact location they want rather than mixing all three entertainment centers in one place. Meanwhile, Tashi Dorji, a resident of Olakha shared that it has always been an issue to the residents near Sharee Square because of the nuisance people create after a party. This kind can pose a threat to people, he said, adding that, if the entertainment center is shifted in one place it would be of great advantage to the residents.